So you’ve got the musicians together, you’ve written the songs, you’ve rehearsed, you’ve spent weeks in the studio, you can gig, you can produce a CD, what’s next? The business. If you don’t deal with the business you won’t generate any income and you won’t have a career. tells you what you need to do to set up and run that business. won’t be bankrupted and have your assets seized by the IRS or any of the other tax authorities around the world. But the music business is more than just money—it’s about people too, including fellow musicians, gig bookers, managers, or studio owners. When dealing with any other person you need to have a clear understanding of the expectations of each party—for instance, if you get a session musician friend to play on your CD and that track becomes a hit, does the musician have any songwriting rights? Without getting these issues agreed up-front—and in writing—you may be storing up years of litigation. The music business is a cutthroat world and there are many tales of the victims. You don’t need a major record label to have a career—especially with all of the changes that the industry has been undergoing in the last few years—but you do need a successful business. That successful career begins with Rocking Your Music Business, the handbook that needs to be on every musician’s bookshelf. 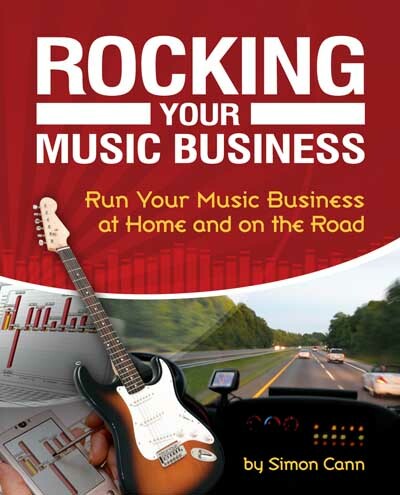 Rocking Your Music Business is available from leading book retailers including Amazon.